For Game 4 of the World Series, Los Angeles Lakers legend Kobe Bryant and his family paid a visit to Dodger Stadium to watch the Dodgers take on the Boston Red Sox. 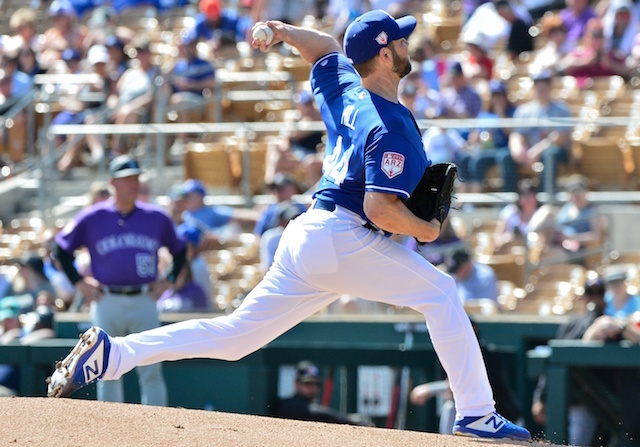 The Dodgers wound up losing after blowing a 4-0 lead going into the seventh inning, but the game was still an enjoyable one for Bryant and his family. 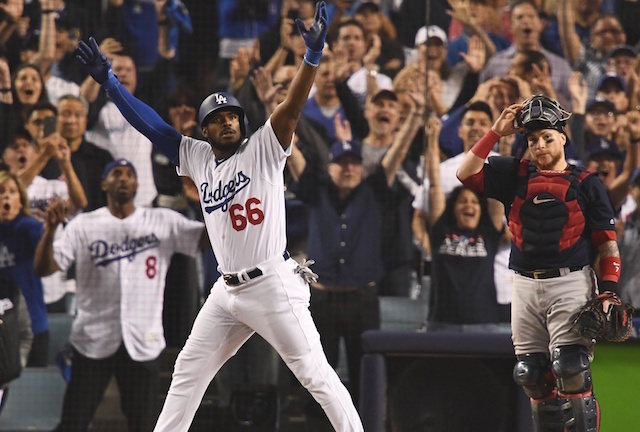 One memorable moment came in the sixth inning when Yasiel Puig hit a three-run home run off Red Sox starter Eduardo Rodriguez. Puig knew it was gone right when he hit it and gave a majestic bat flip. 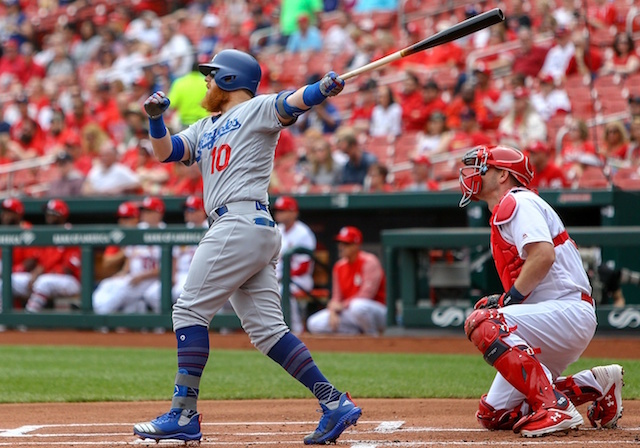 In the background, Bryant rose from his seat and can be seen celebrating in the first row behind home plate. Puig is a big Lakers fans who is often seen sitting courtside at Staples Center. That is where he was the night before Game 4, and he apparently had a conversation with Bryant that fueled his home run. 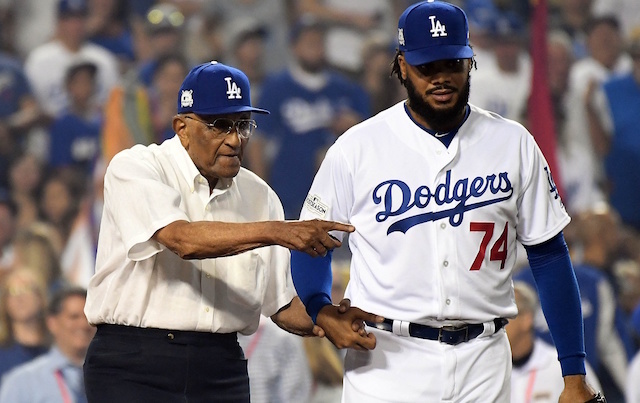 While the season obviously didn’t end how Puig had hoped, he did pass Andre Ethier in postseason games played as he is now the Dodgers’ all-time leader at 58 games. 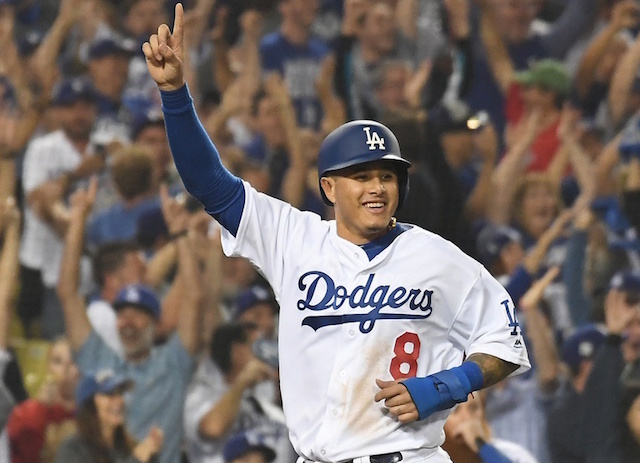 He will continue to use whatever advice Bryant gave him as fuel to get back to and win the World Series next year, but in the meantime, perhaps they can televise the one-on-one game between two of Los Angeles’ biggest stars?